Often times it�s hard to conceive how you would set up a home spa without including a bathtub as part of your treatment. But what I�ve learned from speaking with a lot of you is that not all of you like to take baths. It doesn�t mean that you don�t� want to be clean, but you don�t like the idea of sitting in dirty water. So knowing that, how would you create your own home spa while you pamper yourself and take care of your beautiful skin in ways to keep it soft and supple. We all need time for relaxation and we know that with stress becoming something that�s more prevalent in the work force or life for that matter, than it should be, we have to find ways to relax ourselves to find balance and have peace of mind for healthy reasons. When you allow stress to find its way into your environment, it is actually coming into your space and threatening to challenge you health wise. So if you�re not one who likes the bathtub, here are some tips for you. 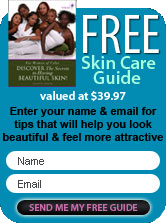 Beauty Products � There�s nothing like a nice scented body oil. You use oils right after you remove the excess water. It helps to lock in the moisture to your body by using the oils. It�s also a great way of scenting yourself naturally and if you then move to another level of scenting this is where you would add a spray mist or natural perfume and it would be considered layering. You want to be able to moisturize your skin as you remove the excess water and it�ll give it a soft, smooth supple feel. Light some candles � lighting a candle always plays an important role when it comes to setting a mood. When you go into your bathroom to start your pampering session, what better way to have lighting and create ambiance than lit candles placed throughout your bathroom? It will create a beautiful atmosphere in the entire room. Steam � You want to have your shower hot enough to create steam in the room and a sauna like experience.. After you�ve set the mood just right, step into the shower with your favorite cleansing product. You�ll have your soaps/ body washes that have been made with your essential oils. The steam from the shower will help to soften and detoxify your skin and leave you with an amazing glow. It�s unbelievable what a good steam process can do for your skin. Soft Towels � After you shower, you want to be able to wrap a nice towel around yourself. You don�t want to rub your skin as though you�re shining shoes. Just simply pat to remove the excess water and as long as they�re soft and luscious to the feel of your hand and body, your experience will be wonderful. Scent � For those of you who like scent, it�s a great additive to any spa environment. If you were using a bathtub, bath bombs could bring in the element of scenting. Whereas in your bathroom in general, if you�ve got a vase, you can fill it with dried lavender and continuously spritz it with lavender spray mist that you�ve made, or add several drops of lavender essential oil to the water. You can use that same spritz to mist your body and pillow to help you sleep better. If you�re using soap that�s scented, you might want to store it in lightweight packages so that they can maintain the scent of the soap. Otherwise, it�s almost as though it will evaporate, and light packages like soap containers or some type of jar are good. Just make sure it dries before you place it into a container like this because you run the risk of a film developing around your soap and that�s bad. Foot Bath � this is something that you may not want to do right after you shower because this a process in and of itself. However, it can be a separate treatment where you provide yourself with a nice foot bath and you can have the same elements around you like scented flowers, oils, soft towels and all of those components will be a part of your spa. For those of you who like music, as you�re relaxing, it�s a perfect time to bring it into your space. You�ve now got ideas of how to create a spa environment that doesn�t necessarily include a bathtub.�� The best part though, is that you can have the same benefits of the environment without one.